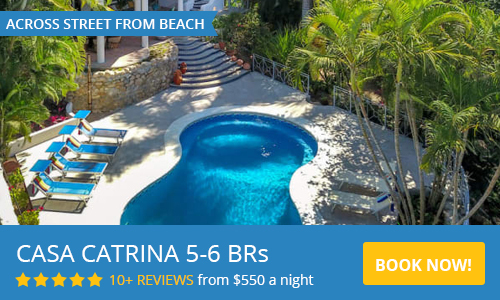 Cristy Torres Personal Attendant in Sayulita allows you to get more out of your Vacation! Create more hours in a day by DELEGATING to a personal vacation attendant. Get rid of chaos and give you and your family more quality time! Cristy Torres has provided her top notch services in Sayulita for more than four years. She is well known in the Sayulita community and is a positive open minded person with a heart of gold. Her goal is to make your holiday carefree! All you have to do is sit back, relax, and enjoy! Cristy was born in Guadalajara and honors the Mexican traditions. She will make sure your vacation is 100% Mexican Traditional style! Accord your request.... Cristy will take care of all your needs and make sure your holiday is above reproach. You can also book Cristy for separate services such as child care, event planner or grocery shopping, cap services, tours, The bottom line is, Cristy is the best choice to make your vacation worry free so that you have more time for each other. Cristy will create more time every day for you to enjoy! I hired Cristy to grocery shop and cook breakfast for 9 of us who were visiting Sayulita for my 30th birthday. I saw all of her reviews and was very impressed about what everyone had to say. Crusty lived up to every review and I can’t say enough about how professional, helpful, and just pleasant she was to work with! We emailed for a couple weeks before hand to set a grocery list and decide on what would be served for breakfast. She was also able to coordinate our ride from PV for us. Not only did Cristy deliver but she went above and beyond to make our experience exceptional. At the end of breakfast she left us with a big bowl of guacamole, pico de gallo, cheese and beans that we snacked on throughout the day, it was glorious. I highly recommend Cristy for anything you need done, she will make your vacation that much more enjoyable! Me and a group of 3 others were in Sayulita for the very first time last week and were staying at a condo. We reached out to Cristy to utilize her grocery delivery service. The communication was very easy and we had everything we asked for waiting for us when we arrived. We were able to meet up with Cristy shortly into our trip for payment. She supplied receipts and was extremely friendly and helpful. I would absolutely recommend Cristy for your next stay in Sayulita. Cristy was so amazing, charming, punctual, respectful, and perfect that looking back I don’t know how we could have done the weekend without here. She’s great. Really. On top of being an amazing companion for my Dad, we needed assistance getting little wedding tasks taken care of that needed a local contact. Cristy. Knows. Everyone. Anything you need. Seriously. I’m not the one to leave reviews online but it’s the least I could do for Cristy. Cristy - Thank you so much for everything! Cristy is an outstanding person and super helpful. She coordinated several things for me for our wedding weekend, including cookie welcome bags for all our guests, scouting musicians for our ceremony and arranging taxi service for our guests to the wedding. She was always willing to help and delivered on all her promises in a timely manner. I would highly recommend her for anything assistance you need during your stay in Sayulita! Cristy has great communication and great prices! Trustworthy and kind! Christy took care of our two small children (one and five years) during our Sayulita vacation, and she was wonderful. She came highly recommended by my brother in law, who is Director of Sayulita's Costa Verde International School, and the other educators with whom he works. She speaks excellent English and is just as much a teacher as a caregiver and works with the children on reading, math, learning Spanish...you name it. Our older son is obsessed with the i-pad, and she successfully lured him away with fun games and activities. She is incredibly professional and, best of all, patient and kind. She truly loves children and enjoys her time with them. We will definitely ask Christy to care for our children next year. If you want to have a wonderful vacation and the peace of mind that someone incredible is caring for your kids, contact and hire Christy! Please feel free to contact me if you have any questions. Best, most caring babysitter in Sayulita (and Riviera Nayarit)! Cristy is the best of the best- such a wonderful, caring person. She came to us through a personal recommendation and, because of her help with our children, we had a perfect Mexican vacation. We have a 1 year-old (fussy) baby boy and a 7 year-old (sassy) daughter. With the children and with us she was solicitous, kind and FUN. Christy is an absolute joy to be around! She is 100% capable and my husband and I can not recommend her enough. Trustworthy, Professional, and Caring Nanny for our Three kids during our stay in Sayulita! We would highly recommend Cristy and plan to use her services again during our next trip to Sayulita. Cristy was very helpful to my family and I on our trip. Not only was she very available, she was timely in fulfilling all of our requests. She assisted us in making reservations around town, shopping for groceries, and meal preparation. While we did not utilize this service, we would have trusted Cristy to watch our children. If we return, we will be using her services again. Thank you, Cristy!